Romina Karamanea gave us an all-black collection which was anything but boring. 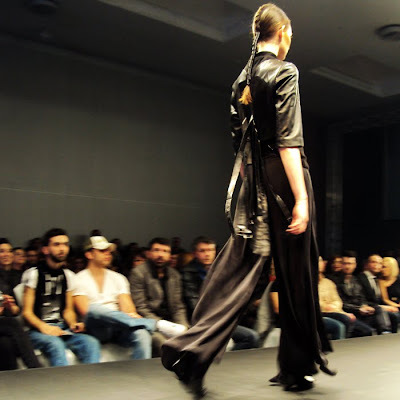 Strong leather details that resembled body armour adorned the fluid fabric. That included chain mail with links made of leather instead of metal. Fierce yet feminine. 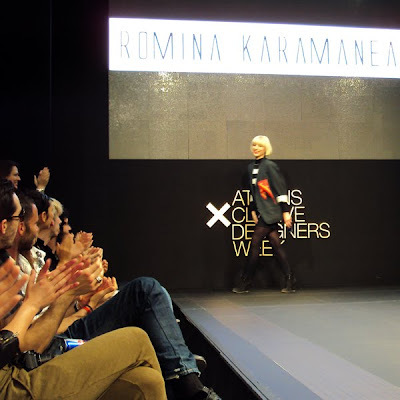 See more of Romina Karamanea's collection at Chloe in the Sky and Alecca Rox.